You are here: Home > Stop nukes. Prevent democracy meltdown. The prosperity of all South Africans is based on a democratic system true to the principles of listening to and meeting the real needs of the citizens and a national treasury that is accountable and funds these needs. Yet, right now, a nuclear programme valued in excess of R1 trillion is being promoted by President Zuma and his appointees at the Department of Energy. Secret deals for 9.6 GW of nuclear power, that is 8 to 10 new nuclear power plants, are being negotiated by government officials and foreign business interests without a proper mandate from the National Development Plan or the Integrated Energy Plan (Draft). National treasury does not appear to have a process in place to fund nuclear power, nor have they looked at the financial or economic impacts. ESKOM is in serious financial trouble without the added burden of a nuclear build programme which generates some of the most expensive energy in the world. How will we pay for it? The high costs and risks of nuclear are well known. Green energy for South Africa in the form of wind and solar is cheaper than nuclear, involves local partnerships which builds technical capacity and has the potential to generate tens of thousands of employment opportunities that continue after construction. AIDC’s 1 Million Climate Jobs Campaign is putting pressure on government to open up to the opportunities of real power to the people through investment in wind and solar. What can concerned South Africans of all faiths do to persuade President Zuma and the government to act in our best interests? Help stop the meltdown of our democracy. The faith communities networking with SAFCEI have started taking action. Your active support is urgently needed. If you want affordable, green energy that grows local resilience than join SAFCEI’s campaign against nuclear power. What is happening? Click on links at end of article for background info. 1 SAFCEI has asked both Treasury and the Department of Energy for information via the Promotion of Access to Information Act but has been turned down. SAFCEI is appealing this decision. 2 SAFCEI has briefed legal counsel about our constitutional rights regarding the government’s nuclear energy decisions as well as the right of access to information. 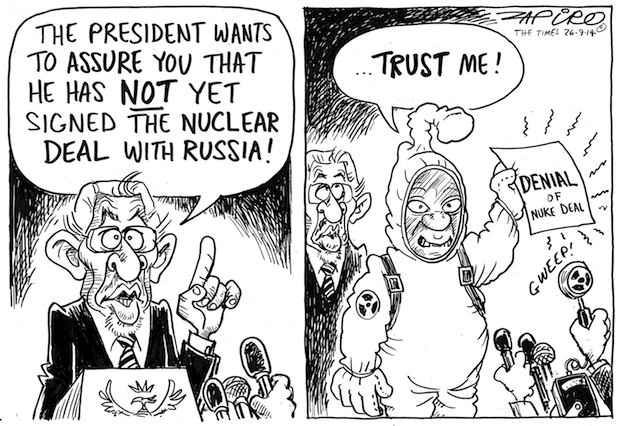 4 Write to both President Zuma and the Minister of Energy expressing your concerns about nuclear power and their lack of transparency. 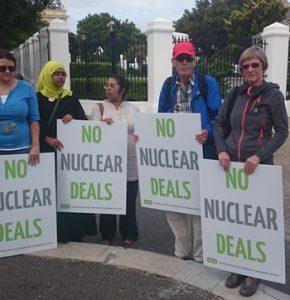 5 Join SAFCEI’s weekly nuclear vigils every Wednesday between 7.30am-9am outside parliament in Cape Town. Click on link for info. 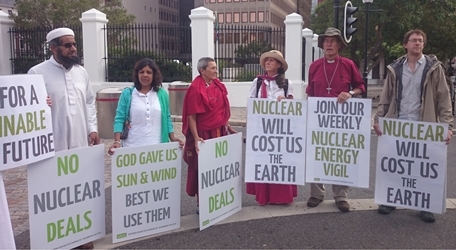 6 Start your own anti-nuclear vigils and post selfies on Twitter and Facebook using hashtag #NukeVigil or e-mail photos to sarah@safcei.org.za. 7 Write to the press calling for transparency in the nuclear deals process and for more government support for green energy alternatives. 8 Join a vigil on the evening of the opening of Parliament, Thursday, 12 February. Earth Keeper Website will have details nearer the time.